Mike Mains spoke to us about writing and recording songs about his wife, while they worked together on Mike Mains & The Branches’ third album, ‘When We Were In Love’. Music gives us a place to explore some of the most difficult and intimate thoughts that too often frighten us to confront directly. Whether it’s a rough patch with our partner or a battle with depression, sometimes a great song is all we need to make sense of it. 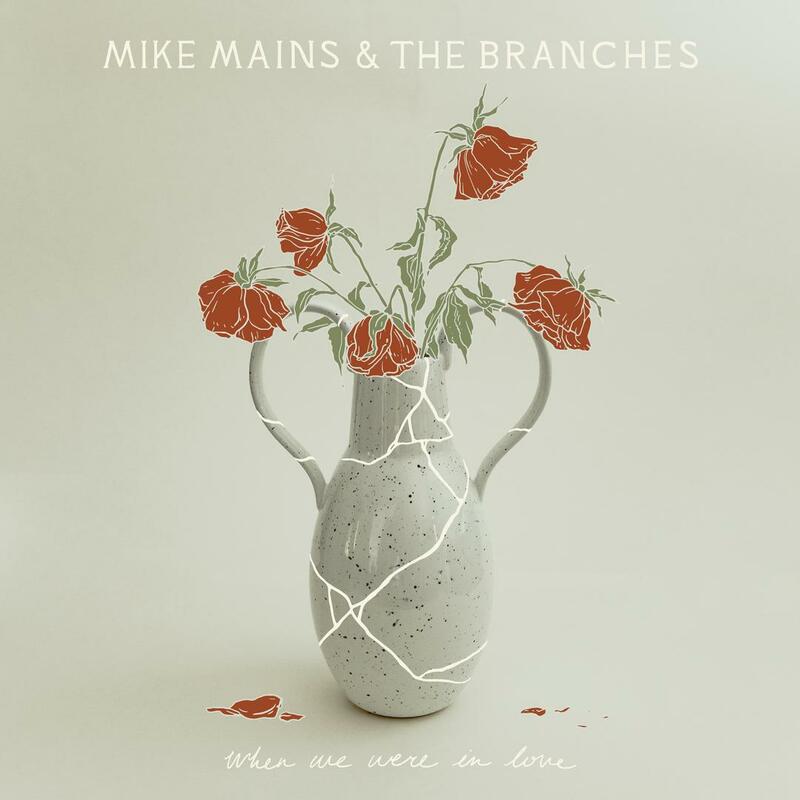 Mike Mains & The Branches’ third album When We Were in Love (due out 4/5 via Tooth & Nail Records) takes both these themes in stride with upbeat, energetic, feelgood pop-rock. 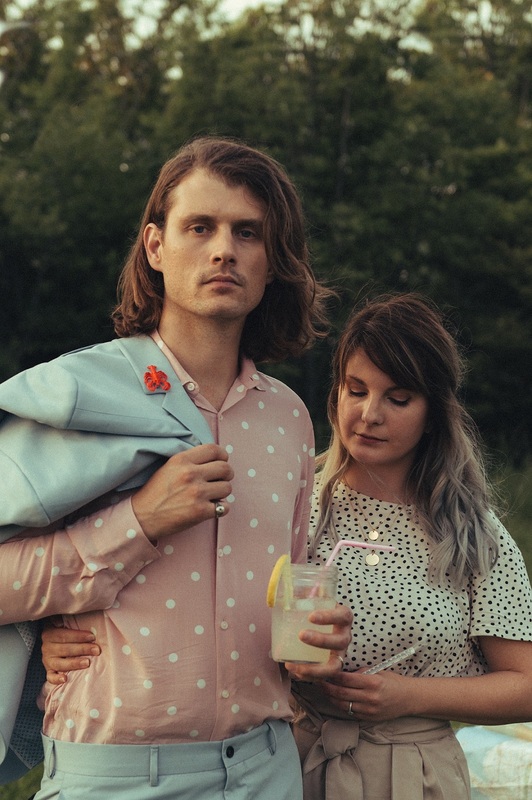 Written in the midst of a troublesome time with Mains’ wife and bandmate Shannon, When We Were in Love brings the duo’s troubles to the forefront of their new album, cleverly disguising them as cheerful songs. Atwood Magazine spoke with Mike Mains about dark pop songs, writing music with your spouse, and depression. We’re all a little broken. We’ve all got a few bumps and bruises, but hopefully, this record can make people who have struggled in similar ways feel a little less alone. Atwood Magazine: When We Were in Love sounded like it had more of an anthemic, indie-pop/rock feel than Home or Everything is Fine. Was that a conscious choice? Mike Mains: Not necessarily. We’ve always been a bit of an indie rock band. I’d just finished reading Springsteen’s autobiography, so I was basically trying to write “Born to Run” and failed. It definitely has some of that big chorus-feel though. Mains: Yeah. Working with this current producer, he steered me out of going really rock and roll with everything. It felt like a bit of a dated decision, and he wanted it to mix some of what we’d done in the past but try to take our sound in a new direction, which was initially scary but the result was something that felt fresh and exciting for us. The songs that you wrote for this record were at your therapist's recommendation to help get through a tough time. When you wrote them, did you have an album in mind or was it straight therapeutic and then you went back? Mains: It’s kind of nuts. We had the record completely finished, and there were about 14 or 15 songs. Most of those songs were first person conversation between two characters going through difficult times, which is strange, because that foreshadowed a painful season that my wife and I went through. I’ve been in therapy for the last four years, but I sunk deep into the therapy and spiritual practices to go through that. My therapist said, “You should go back to the studio and write more songs,” which wasn’t on my radar, because the record, in my mind, was done, but it felt like that was the right thing to do. So, I booked another month in the studio with my producer, and I didn’t see my wife for a month, and we were just in the studio writing another six or seven songs that began to round out the album. So, we cut about half of the record that was originally there and added these songs that clicked into this narrative that exists throughout the whole album, which is basically a conversation between two people and that conversation changing depending on how good or bad things are going. You mentioned the album foreshadowed a difficult patch you had with your wife. I know she recorded the songs with you; did she help with writing the new songs or the ones that came before that? Shannon dipping her toes in the songwriting waters, and I think that’s a bit of a teaser to what things will be like in the future if she gains confidence creatively to write with me more. Mains: [Laughs] Yeah, “Hey, here’s a record full of songs about the worst season of my life in this marriage: I hope you buy it!” It was something that we talked about, but once Shannon heard the songs, she realized what we had gone through and the subject matter of the songs and their ability to help other people who had gone through similar things-that transcended the fear or insecurity of unzipping our chests and letting people look at our guts. The hope is that people can look at our scars and say, “Oh wow, I have scars too, and they kind of match yours.” We’re all a little broken. We’ve all got a few bumps and bruises, but hopefully, this record can make people who have struggled in similar ways feel a little less alone. Even though it is an album that has a downtrodden subject matter, you still wrote bouncy and upbeat songs. Was it an intentional decision to make the songs sound like that? Mains: Yeah, I borrow that mindset from Tom Waits, who says, “I love beautiful melodies telling me terrible things.” The Decemberists do a wonderful job of doing that as well. They’ve got a song that’s so cheerful, but it’s about his first sexual experience with his girlfriend growing up. How do you write a song that has such a heavy subject matter, but literally, it sounds like a sweet Elvis Costello song? I love doing that. You listen to something like “Breathing Underwater,” and it’s a pop jam, but then you listen to it 2 or 3 more times, and it’s about my sessions with a therapist. Mains: Yeah. I like sneaking that stuff by. It’s like taking your pills. Nobody wants to take their pills, but if they’re coated in sugar and chewable, they go down a little bit easier. How do you write a song that has such a heavy subject matter, but literally, it sounds like a sweet Elvis Costello song? I love doing that. And it's a tradition in pop music where there are these songs that are these great huge pop songs, and people don't realize they have a darker subject matter to them. The two songs I liked best from the album were “Holy Ghost” and “Around the Corner.” Could you tell me about writing and recording those two? Mains: “Holy Ghost” was a blast to write. It came in two different sessions. It’s where I first started writing to beats and recording as opposed to on my acoustic guitar. I think trying that just opened a different part of my brain, and I was able to write really quickly. I had the chords and some verses, but I didn’t have a bridge. I finished that song with one of my songwriting heroes-Benjamin West. He writes and records for a band called Junior Junior; he’s written songs for Lady Antebellum and P!nk. He’s just a genius, and he really pushed that song across the finish line. The idea of that one is being so obsessed with another person and so in love that you both want to possess each other. You want to be like waves of the sea crashing into each other where you both cease to exist. You become one thing; you’re a synthesis now. It’s complete and utter love, madness, obsession. “Around the Corner” is really me talking to myself and trying to encourage myself through my mental depression. That’s another big theme on the record. I’m 31; I’ve battled mental illness, depression, and anxiety my entire life. Those lyrics were scary to write, because they’re so revealing. It felt like lifting the lid on my head and letting people see my brain. I wanted to do that, because it’s very dark, but it also ends on a really positive note. The hope is that: people (at least for myself) going through depression and having those moments where I’ve got my suicide planned out, and I’ve got a day written down: you tend to believe that there isn’t light, but there’s always light. There’s always hope. Sometimes, it’s just a matter of making a phone call and letting your friend know you’re having a bad day.